A Banff man “lost it” and threatened to kill his downstairs neighbour after seeing the man kick his dog in the face while wearing a steel-toe boot. James Goodbrand admitted shouting, swearing and uttering threats on October 20 when he appeared in the dock at Banff Sheriff Court yesterday. 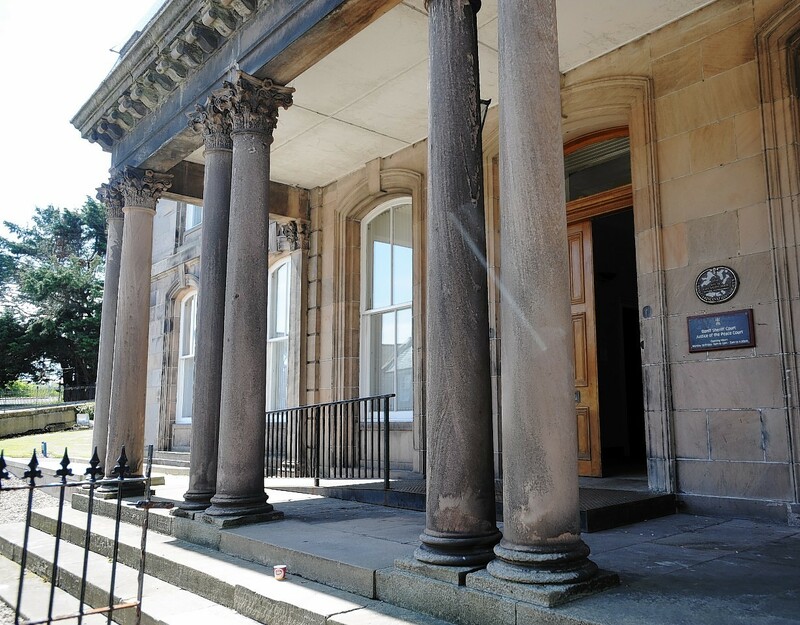 The court heard that the 33-year-old shouted from his windows at the family who lived in the flat below on Windhill Terrace after the incident involving his dog. Sensing that an argument was about to start, the man who lived downstairs tried to get into his home as quickly as possible and his wife and daughter opened the door to usher him inside. The court heard that Goodbrand came out of his house shouting aggressively and “punched” their door. Part of the loud abuse that followed0 was filmed by one of the family and shown to the court. The accused could be heard uttering threats to kill the man who he felt mistreated his pet. Goodbrand’s defence agent, John McLeod, told the court there would be no further bother as the family have now moved away. He added: “My client has a dog he had let out to the garden. Sheriff Robert McDonald fined Goodbrand £240 for the abusive behaviour.